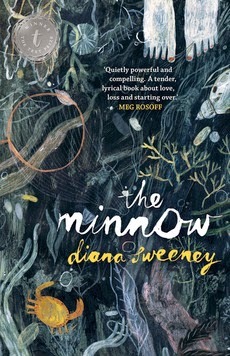 It’s no surprise that Minnow was the winner of the Text Prize for Young Adult and Children’s Writing in 2013. From the very first page, Tom’s voice captivates. With her family drowned in devastating floods and her grandmother in a nursing home, Tom (whose real name is Holly) tries to find her way in life. With ‘mature themes’, I believe Minnow is pitched for 12+ readers and I won’t be surprised if it stars in future high school English book lists. Scenes weave between reality, imagination, dream and remembered moments: sometimes it’s hard to tell where one leaves off and another begins. As Tom searches through the tangles of her grief for a way to survive in the world, she experiences her share of confusion, fear and occasional sparkles of hope. Her anchors in life are her grandmother, who is fading, Jonah, her best friend who is wandering from her in his own search for fulfilment and the Minnow. I found my stomach was clenched in the hope that Tom would make it through alive. Minnow is hypnotising, weird, desperately sad and wonderful, all at once.